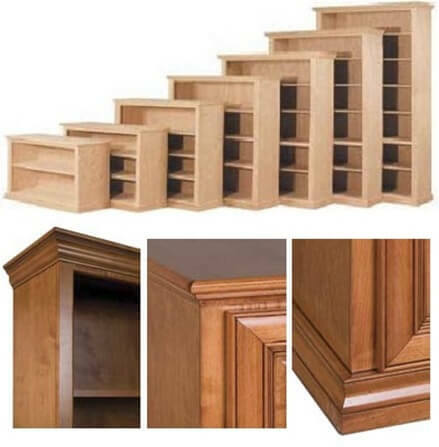 Our Solid Wood Bookshelf Lineup, the perfect addition to any space, gives you so many options you won’t believe it! These classic styles are perfect for any room, any age, any decor. Locally made, out of Maple or Oak, and offered in a Range of Sizes and Styles, this Bookshelf Line gives you the greatest range of options, plus the best value around. You can even save yourself time and energy by having them painted or stained to fit your need. …And from there, you just need to decide if you prefer Maple or Oak and if you’d like to take advantage of the other stylizing options like doors or finishing. Because these Bookshelves are made for you here in the US, Pennsylvania specifically, you can customize them to be exactly how you want them. Additional choices include various Door options like Flat Panel, Raised Panel, Framed Glass, and Framed Glass with Mullions. 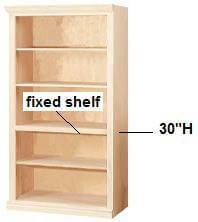 Full Length Doors are available on all sizes of Bookshelves where Lower and Upper Door Options are reserved for heights 6 feet and up. 18″ wide bookcases will have one door. Because these Bookshelf units are hand crafted, they come to you fully assembled with the exception of placing the shelves how you’d like them. All sizes will have a Base shelf, which is fixed, and adds to the integrity of the piece. 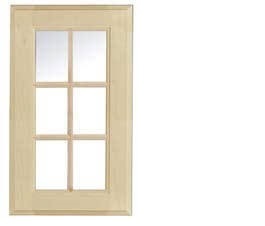 This product is Clean and Natural, with No Fillers, and No Fake Wood. For those experiencing Chemical Sensitivity, please call for more information on the bookshelf backs and drawer bottoms to be sure it complies with your needs. A full line of matching/coordinating Oak pieces are now available so that you can build your room, piece by piece! See our Oak Platform Bed, Oak Mission Platform Bed, Oak Dressers, Oak Nightstands, and our Oak Bedroom Packages that are already put together for you.